So we're all familiar with Paper Mario here, I'm sure. Back in the dead of winter I was looking forward to the release of the most recent installment, Paper Mario: Sticker Star for the 3DS. While I was waiting for the chance to get my hands on it, I revisited the other 3 games in the series and got to take a good look at the art style for the all of the characters. 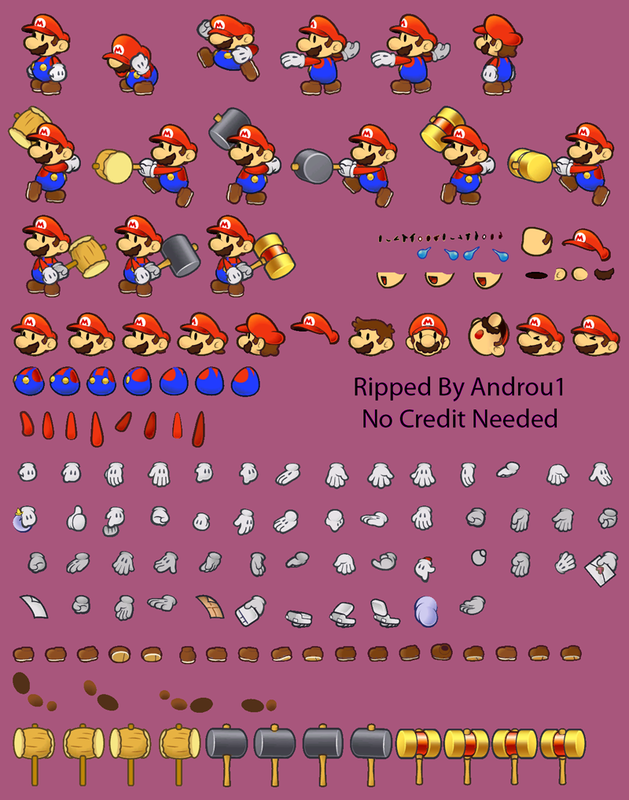 Specifically, in Paper Mario: Thousand Year Door I've always kind of wondered how they made the character sprites. It turns out that, much like actual paper, most characters are made up of different parts 'pasted' together. The separate pieces are rotated and moved to animate Mario and all other living things. 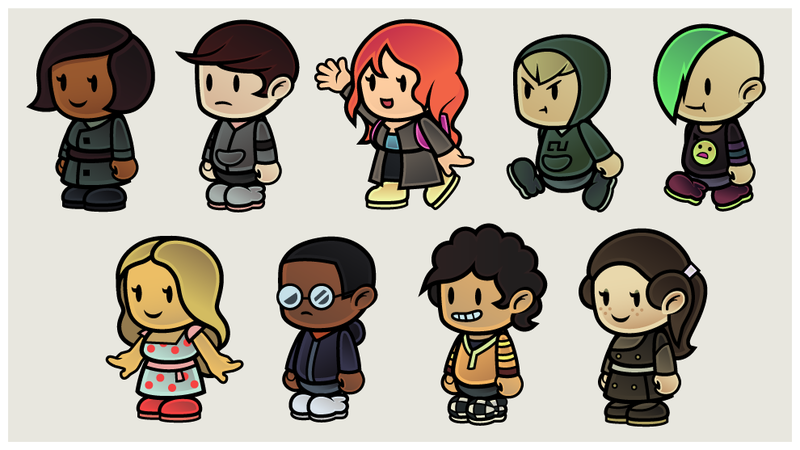 Turns out people have already dug much deeper than I had and disassembled sprites from the game. It started as a kind of case study of the Paper Mario art style--body proportions, outlines, the spacing between the eyes, how fingers and joints worked, how light and shadow were realized, how male and female characters were built... stuff like that. I looked through a bunch of different sheets like this one, and before long I wanted to try the style out myself. It actually gave me a good idea for a Christmas present at the time, which we'll take a look at shortly. Illustrator ahoy! It was a little tough to make a consistent standard at first. Mario doesn't exactly look like an ordinary human... I decided to forego noses and more or less combine aspects of various characters' appearances. Like the characters in Paper Mario, these were built in pieces. There was no real need for it, but it was an attempt to understand the process that Nintendo/Intelligent Systems might have used. 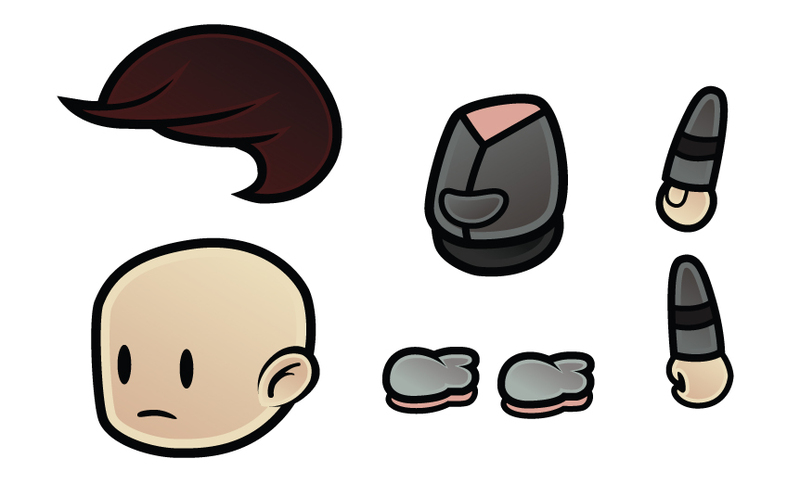 And hey, I may be able to animate these separate parts in Unity or something if I have a mind to. As stated earlier, working on all of this turned into an ongoing project for a gift. I'd be playing Paper Mario: Sticker Star soon, so the idea for it came pretty naturally. 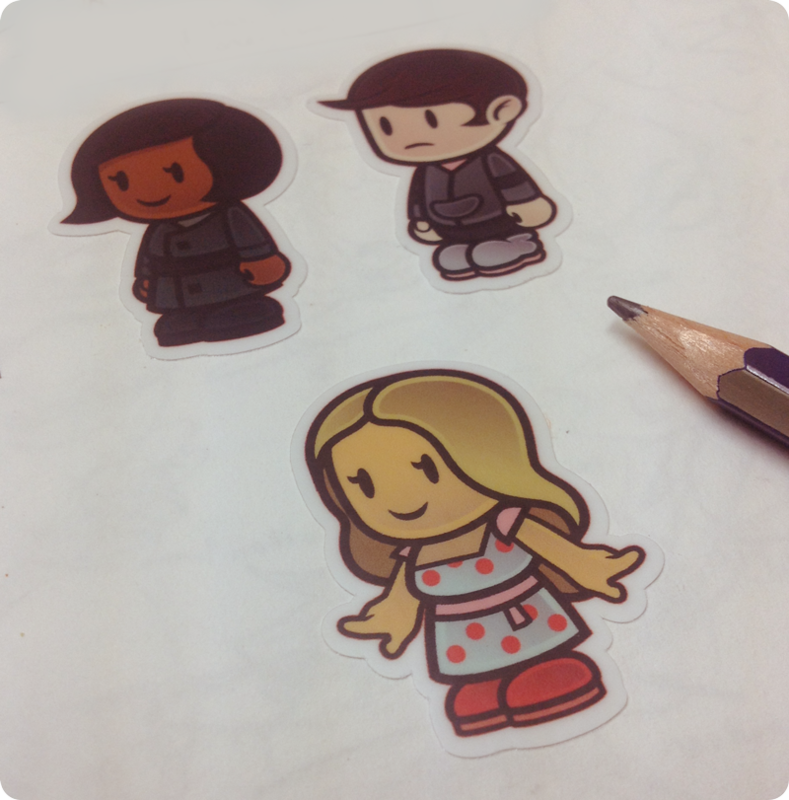 A while ago I came across StickerMule, a site that specializes in all things, well... sticker. They're responsible for taking those brightly colored pixels from before and making them real. The stickers came out better (and faster) than I could have ever expected. You can kind of get an idea of how big they are here, I liked these smaller ones on the 4" x 6" sheets. They have templates on their site in the form of .psd files where you can insert your art and send it off to have it stickerized by the professionals. 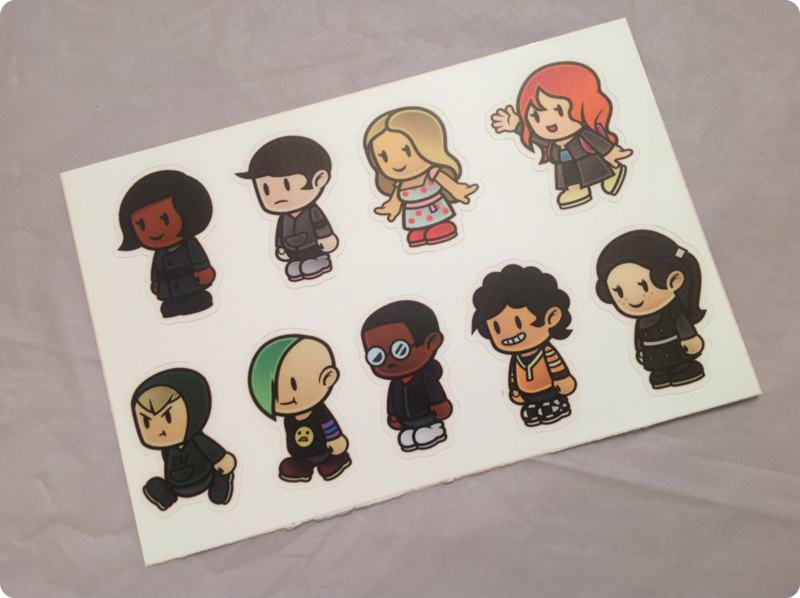 I ordered a pack of these sticker sheets, which became a gift to my sister. The characters are from a story she's working on (what can I say, it runs in our blood). As far as I can tell she was pleased with the result, and it's easy to see why. The good people over at StickerMule do phenomenal work, so I'd highly recommend checking them out. Funnily enough, she was the one who gave me Paper Mario: Sticker Star as a Christmas present, which sparked the idea to begin with... so it was kind of like returning the favor. These characters are really cool and unique and the creator is a genius in my opinion.